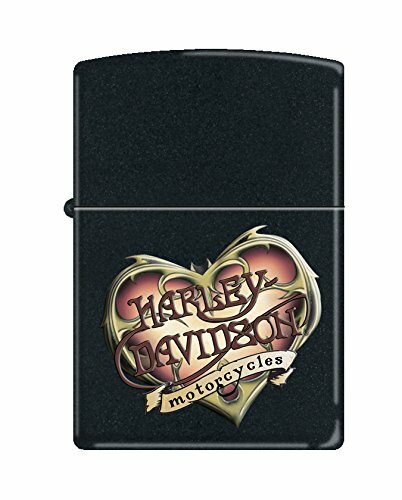 This Harley-Davidson lighter features a Harley-Davidson motorcycles heart at the center of this lighter, all color imaged on to a black matte windproof lighter. Comes packaged in an environmentally friendly gift box. For optimal performance, fill with Zippo premium lighter fluid.